The Business Advisory Board was established in 2014 to advise, promote and actively support the H-E-B School of Business and Administration in achieving its mission and implementing its strategic plan for the betterment of our students, faculty, alumni and the business community. Mr. Alexander retired in 2002 as President, SBC Southwestern Bell. During his 32 year career he held a variety of executive positions in network operations, sales, marketing, and international operations with various SBC subsidiaries. Immediately, prior to his position as Southwestern Bell President, Mr. Alexander led SBC’s wireless CATV, long distance, and local telephony operations in Chile and the Asia Pacific from 1995 through 1999. Previous to these assignments, he was in charge of sales for Southwestern Bell Yellow Pages, directed network and marketing for Southwestern Bell Texas, and participated in the Congressional Assistant Program in Washington D.C. Mr. Alexander now serves on a number of boards including the Port Authority of San Antonio, Southwest Research Institute, San Antonio Medical Foundation, University of Texas McDonald Observatory, and the Clean Technology Forum. He is also a Trustee at Missouri University of Science and Technology where he received a B.S. in Mechanical Engineering and an M.S. in Engineering Management. He and his wife Barbara have two grown sons living in San Francisco and Chicago. April Ancira is the VP of Ancira Auto Group and oversees the operations of 11 New Franchised Auto stores. 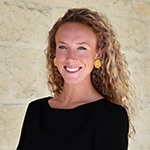 She has San Antonio Roots, having attending high school at Saint Mary's Hall, received her Bachelor of Science in Marketing and Finance from Trinity University, and her Masters in Business from UTSA. She has worked in every facet of the car business since 1997 – from being an operator and cashier, to selling cars and trucks on the front line. April has been married to her husband, Jason Thompson, for nine years. The two met at the National Automotive Dealer Academy. They have two children, Hope (4) and Gunnar (7), and a dog, Gracie. April has a pilot's license, has done stand-up comedy, and loves to race. Her most recent achievements are conquering Ironman Texas and Ironman Vineman in 2017 – each 140.6 miles of fun. 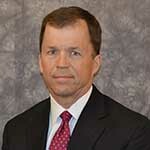 Lee Bailey has served as Valero’s Vice President Internal Audit since August 2004. 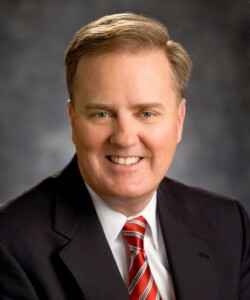 Prior to his current role, Lee was Vice President of Investor Relations at Valero, where he managed the company’s investment community relationships. Lee has been at Valero since 1991, prior to which he worked with KPMG in San Antonio for three years in the audit department. Lee is a CPA, and graduated from Texas State University in 1988. He has served on the boards of several local non-profit agencies, and currently serves as Board Chair for the Daughters of Charity Services of San Antonio. Roberto is a Financial Advisor with Northwestern Mutual, where he leads the San Antonio office as a Field Director. He is originally from Mexico City and has lived in San Antonio since 1996. 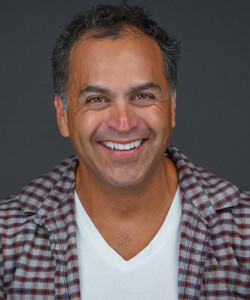 Roberto obtained his Degree in Economics from the Intsituto Tecnologico Autonomo de Mexico; has earned the Chartered Life Underwriter (CLU®), Chartered Financial Consultant (ChFC®), Certified Advisor in Philanthropy (CAP®) degrees from the American College in Pennsylvania and is recognized by the National Association of Estate Planners as an Accredited Estate Planner (AEP®). He is also recognized by the Certified Financial Planning Board as a CFP®. He is a founding and board member of the “Asociacion de Empresarios Mexicanos, (AEM)” and recently of the Mexican American Business Institute (MABI) a group dedicated to help business owners help themselves through the link of entrepreneurial experience with academia. He is an active member in the community participating in many community and chamber organizations among them NAIFA, National Association of Insurance and Financial Advisors; FRA, the Financial Representatives Association, San Antonio Greater Chamber of Commerce. Roberto has never lost ties to its roots and supports the Hispanic community by serving on the board of San Antonio Hispanic Chamber of Commerce, Free Trade Alliance member of the Rotary International, and as an advisor to the Mexican Government through the Institute of Mexicans Abroad (IME). 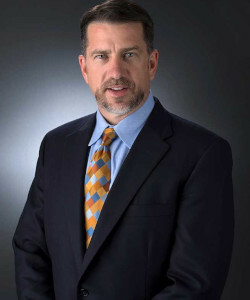 Doug Evanson was named Vice President and Chief Financial Officer at San Antonio Water System in April 2005. In this capacity he is responsible for the treasury, finance, purchasing, supply and accounting activities of this municipally owned utility serving more than 1.6 million people in and around San Antonio. He also oversees the organization’s Customer Service and Information Systems departments. Prior to joining SAWS, Evanson worked in the private sector having held management positions with UtiliCorp United and Black & Veatch while also having served as the Chief Financial Officer for United Energy located in Melbourne, Australia. He has served on a number of Boards including the Greater San Antonio YMCA, the Montessori School of San Antonio and the San Antonio Chapter of Financial Executives International. He holds a Master of Business Administration from the University of Missouri, Kansas City and a Bachelor of Science (Accounting and Business Administration) from the University of Kansas. He and his wife Annette have two sons. William J. Galbreath is the senior executive of private banking at Jefferson Bank in San Antonio, Texas. Bill oversees the division that specializes in trust, estate, and investment management. He has held various positions over his 30 years with Jefferson, including Board Member and President. 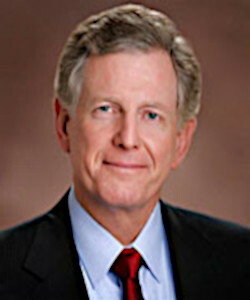 Prior to his tenure at Jefferson, he was President and CEO of Cullen-Frost Subsidiary Bank, North Frost Bank. He has also served as a Special Agent to the Federal Bureau of Investigations. Bill is an active member of the community and holds leadership positions with Morningside Ministries, Texas Public Radio, and Christ Episcopal Church. He holds a B.S. in Chemical Engineering and J.D. from the University of Texas at Austin. Bill has been married for 48 years and has 3 children and 9 grandchildren. Maria D. Garcia has been CPS Energy team member since September 1999. Maria was named Vice President of Community Engagement on February 1, 2014. She currently oversees CPS Energy's Community and Key Accounts Engagement areas. On the residential side, the Customer Response Unit (CRU), Community Outreach and the Casa Verde Weatherization program are highly visible and mobile within our community. These teams focus on increasing customer care and delivering public safety education to our customers and contractors in the CPS Energy service territory. The Key Account Management (KAM) and Executive Account Management (EAM) teams offer a “one-stop” shop service, which enhances efficiencies for our community's residential and commercial developers as well as for large, complex commercial & industrial (C&I) clients requesting new electric and gas services. Maria currently serves on a number of community boards. Previously, she served in various positions for the U.S. Department of Agriculture and the U.S. Air Force. Maria has a Bachelor of Business Administration and Master of Business Administration from the University of the Incarnate Word. She also is a graduate of the Executive Accelerated Development Program at Rice University. Area Vice President - Texas | Dell, Inc.
Leslie has been with Dell for 21 years and has held numerous sales and management positions during this time. She has a BA from the University of Texas in Austin. 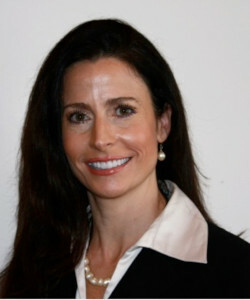 Prior to Dell, she started her career as an Area Director for Extend-A-Care in Austin, Texas. She joined Dell in 1995 as an inside account manager and then transitioned to inside management for 5 years. In 2003 Leslie became an Account Executive in Texas. From there, Leslie became a Regional Sales Director in 2006 where she had responsibility for the Central United States for our Large Public customers. In 2013 to January 2016, Leslie was the Executive Director for Commercial customers covering the central and eastern half of the United States. Presently, Leslie is the Area Vice President of Sales for our Texas customers which includes Commercial, Education, Healthcare, State and Local Government. Leslie resides in Georgetown, Texas with her husband and two children. She is involved in her community as a volunteer with the Caring Place, as well as a Wish Granter for the Make-A-Wish Foundation in Central Texas. Leslie enjoys traveling, sports and spending time outdoors with her friends and family. With more than 30 years of senior management experience, Alex Hinojosa has extensive professional expertise in investment banking, the utility industry and municipal project financing. Mr. Hinojosa was appointed as Acting Managing Director for the North American Development Bank in March 2017 after serving as Deputy Managing Director since January 1, 2011. He oversees all bank operations as it serves the bi-national border region through its lending and grant programs. From 2004-2010, he led investment banking efforts at Cabrera Capital Markets and Frost Bank, directing and managing debt issuance transactions for state agencies, municipalities, utilities and school districts in the southwestern states of the US. 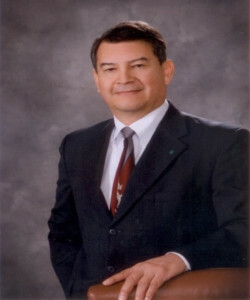 Mr. Hinojosa is also one of the founding faculty members of the Utility Management Institute of the North American Development Bank, instructing and facilitating in seminars on current management topics for cities and utilities in all 10 border states of Mexico and the United States since 1999. From 1984 to 2003, Mr. Hinojosa directed the finances for the San Antonio Water System, in San Antonio, Texas, where his responsibilities included directing and overseeing the utility’s finances including long-range financial planning, accounting, project finance, budgeting, and debt management, among other functions. His work in developing innovative financing instruments and rate structures received industry-wide recognition. Mr. Hinojosa holds a bachelor’s degree in Business Administration from St. Mary’s University in San Antonio and a Masters in Business Administration from the University of Texas at San Antonio. 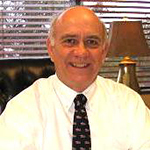 He has been a Certified Public Accountant (CPA) since 1983, and also has held securities licenses. He is also a member of the American Institute of Certified Public Accountants, and the American Water Works Association. Holmes became Publisher of the San Antonio Business Journal in late 2013. 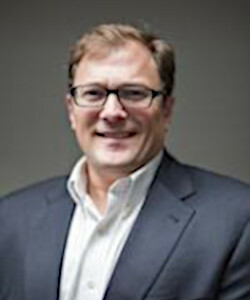 Previously, Jimmy served as executive director of sales and strategic development for Hearst Media in Houston. At this position, he administered insert sales for Hearst newspapers in San Francisco and Houston and the San Antonio Express-News. 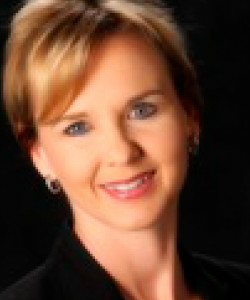 Holmes has also held sales and advertising management positions at the Houston Chronicle and Fort-Worth Star-Telegram. 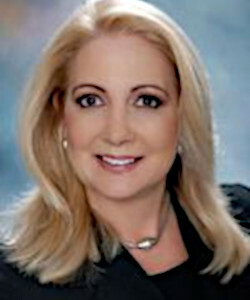 Carolyn Labatt is owner and CEO of Computer Solutions, San Antonio’s largest systems integrator, and a leading provider of complex technology business solutions. Computer Solutions provides IT infrastructure solutions to corporate and public sector customers that include routing and switching, wireless, unified communication – voice and video, security and data center solutions. Our team designs, sells, installs, implements and supports the hardware and software that comprise these solutions. Computer Solutions is a regional company whose customers are primarily headquartered within a 150 mile radius of San Antonio. Since buying Computer Solutions in 1984 as a struggling Apple dealership, Carolyn Labatt has grown it to revenues of over $48 million annually, 60 trained and certified staff, and 200-plus San Antonio and south Texas clients. It has top-level partnerships with Cisco Systems, H.P., EMC, Lenovo, VMware and Microsoft. Computer Solutions has been recognized as a top achiever with many awards and is regularly listed as one of the “Top 50 Private Companies” and “Best Places to Work” in San Antonio. 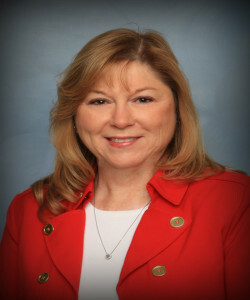 Carolyn Labatt has a BBA in Finance from Southern Methodist University and has received many honors including Outstanding Small Business Leader in San Antonio, Ernst &Young Entrepreneur of the Year, and the Entrepreneurial Spirit Award from NAWBO. She serves on numerous community boards including Broadway Bank, Texas Biomedical Research Institute, CTRC, Southwest Research Institute Board of Advisors, and the World Affairs Council. 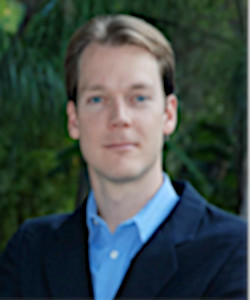 Christian Ledoux, CFA is the Director of Equity Research and Senior Portfolio Manager at South Texas Money Management. Mr. Ledoux joined South Texas Money Management in 2013 and is responsible for overseeing and coordinating the equity research efforts for STMM’s team of research analysts. Mr. Ledoux has over 20 years of equity investment experience ranging from private equities to large-cap multinationals. Prior to joining the firm, he was a Principal at Hoover Investment Management, LLC, an institutional asset manager in San Francisco, CA which earned a 5-star ranking from Morningstar in the domestic small cap fund category in the early 2000’s. His responsibilities at Hoover included research and portfolio management of stocks, representing about 30% of the firm’s assets under management. Prior to Hoover, he was an analyst for the Jurika & Voyles Mini-cap fund in Oakland, CA, which was also awarded a 5-star ranking by Morningstar during the late 1990’s. Mr. Ledoux earned a BA in Business Economics from the University of California at Santa Barbara in 1995. He has been a CFA Charterholder since 1999. Raul P. Lomeli-­Azoubel is Co-­Founder & Executive Chairman of SABEResPODER, a Spanish-­Language media and empowerment network. He co-­founded SABEResPODER in 2005 with a mission to empower Spanish speaking consumers to become more informed, active participants in U.S. society. 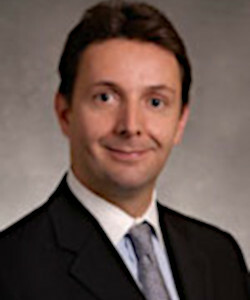 Prior to becoming Executive Chairman of SABEResPODER, Raul was a Vice President of Diverse Growth Segments at Wells Fargo. Raúl previously served as President of the Latino Education Achievement Project where he led two nationwide initiatives to promote financial literacy awareness. He has also served as National Spokesperson for the Sallie Mae Fund, as Press Attaché for the Consulate General of Mexico in Los Angeles, and as a Student Affairs Officer for the University of California. Lomeli-­‐Azoubel serves on select volunteer Boards; he is Immediate Past-­‐Chairman of the Board of the San Antonio Hispanic Chamber of Commerce, Past-­‐Chairman of Avenida Guadalupe Association, and a member of the Board of Directors for MALDEF. Raul also serves in the National Latino Advisory Council for the Nielsen Company, and a member of the National Hispanic Advisory Council for Big Brothers Big Sisters. 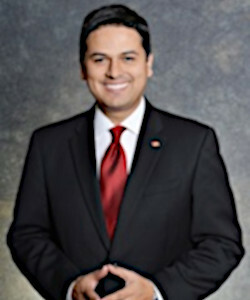 He was recognized in 2007 by the United States Hispanic Chamber of Commerce with the National Corporate Advocate of the Year Award; in 2009 with the San Antonio Business Journal 40under40 List; and by MALDEF with its Corporate Responsibility Award in 2011. Raul is the proud son of migrant agricultural farm workers, and labored the fields in the San Joaquin Valley every summer since he was 15 years old through his first year of college. He now lives with his wife and three children in San Antonio, Texas. As a veteran, registered nurse, writer and successful entrepreneur, Rick brings a wealth of experience – and tremendous passion – for impacting lives. His story begins in the US Army, where Rick enlisted from 1988-1990. He soon earned his BSN degree from UIW (formerly IWC) and became a registered nurse (RN). After several years in nursing, Rick’s entrepreneurial spirit kicked in and in 2001 he bootstrapped started his first business. He is now Founder and CEO at Wellness Project RX (a cannabis company) and looks forward to the day when we bring in a new type of ‘super’ wellness. One that’s spearheaded by our vision and our mission. Awards and accomplishments include: San Antonio’s “40 Under 40” award recipient, Awarded the prestigious Jefferson Award for community service, Recognized as one of the country’s “Top 100 Companies” by the U.S. Small Business Administration, 3x Amazon Best Selling author, Ironman triathlon finisher. Donna C. Normandin is Senior Vice President and CRA Officer for Frost Bank, a financial holding company, headquartered in San Antonio, with $31 billion in assets at September 30, 2017. Donna has been with Frost for 30 years and is responsible for the banks Community Reinvestment and Community Development areas. In this role, she is responsible for creating and managing corporate strategy for CRA/Community Development and serves as conduit between the bank and local centers of influence such as the City of San Antonio, County Commissioners, state & national officials, federal regulators and many other agencies. She currently serves as the Board Chair of the San Antonio Food Bank, on the Board and Executive Team of PeopleFund, the Advisory Board of Local Initiatives Support Collaboration (LISC), on the United Way Strengthening Families Council and chairs the Volunteer Income Tax Assistance (VITA) Coalition. A graduate of the University of the Incarnate Word, she earned a bachelor of business administration and an MBA. She is a past president of the UIW Alumni Association. Donna is a graduate of Leadership San Antonio (LSA) Class 26, served on the steering committee for LSA 27 and co-chaired LSA Class 32. Lynette Padalecki is the Chief Data and Analytics Officer for H-E-B. 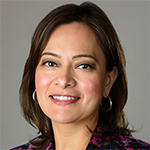 She is also a member of the H-E-B Senior Leadership Team, Trustee of the H-E-B Investment Retirement Plan and Member of the H-E-B Employee Stock Plan Investment Committee. Lynette joined H-E-B in 1995 and has held numerous leadership positions in Finance, currently leading a group of over 300 professionals providing analytical support across the organization. She is a Certified Public Accountant, previously employed with Ernst & Young and Valero Energy Corporation. Lynette graduated from Saint Mary’s University, with a BBA in Accounting. She is also a graduate of the Harvard Business School Advanced Management Program. Lynette is a board member for the Brighton Center for Children, Valero Alamobowl, Texas A&M University - Mays Business School Corporate Finance Board and MBA Program Advisory Board . She is the former Chair for the H-E-B United Way Campaign, Alamobowl and current Chair for the Brighton Center. Meg Paulus is currently the lead Partner at HOLT Ventures, the strategic Venture Capital arm of HOLT Caterpillar where she focuses on executing investment opportunities across the Industrial Internet of Things. Prior to joining HOLT Ventures, Meg worked at BlackRock Private Equity Partners executing venture capital, growth capital and buyout transactions across multiple industries. Meg began her career in San Francisco, where she was an Equity Research Analyst focused on Industrials & Financials. Meg holds a bachelor’s degree in Finance and Spanish from Santa Clara University in Santa Clara, California. COO | Parlevel Systems Inc.
Mr. Senior is currently the COO at Parlevel Systems, a leading San Antonio-based vending technology company which serves vending operators worldwide helping them sell more, run more efficiently, and be more competitive. His previous experience includes Green Star LED, Antonian Health, plus six years in strategy and business development roles in organizations such as Citigroup, McKinsey and Co., and Accenture. He has an MBA in Entrepreneurship from the University Of Chicago Booth School Of Business, and a Bachelor’s Degree in Production Engineering from Universidad Simon Bolivar. Joyce Slocum joined Texas Public Radio as President & CEO in January 2014. Prior to joining TPR, she worked for National Public Radio, based in Washington, DC. 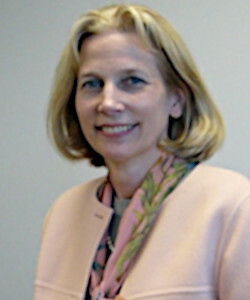 Ms. Slocum held the positions of General Counsel, Secretary and Chief Ethics Officer from 2008 to 2011. In March 2011, she was appointed as NPR’s Interim President & CEO, a role she held for nine months. During 2012-2013, she served NPR as Chief Administrative Officer, with oversight of key areas of the organization, including human resources; legal; information, technology and broadcast operations; facilities and administration; and consumer products. Before her tenure at NPR, Ms. Slocum was Executive Vice President, Global Legal & Business Affairs, and General Counsel for HIT Entertainment, a producer and distributor of high-quality children’s entertainment products. In addition to mergers and acquisitions work while at HIT, she championed the concept of a cable channel dedicated to quality pre-school children’s programming and served a pivotal role in the launch of the PBS Kids Sprout channel, now received in over 55 million homes. Ms. Slocum earned her B.A. from Southern Illinois University and her J.D. from the St. Louis University School of Law. She currently serves on the Board of Trustees of the World Affairs Council of San Antonio and on the Board of Directors of the USA Film Festival. Bill Waechter is the President of North Central Baptist Hospital, a 429-bed acute care hospital located in the Stone Oak area of San Antonio. Bill has been part of the Baptist Health System since 1994 when he began working as a Flight Paramedic with San Antonio AirLife’s helicopter and fix-wing program. He has held multiple positions within the Baptist Health System including Director and COO positions. North Central Baptist Hospital has been awarded the “Circle of Excellence” as a top performing hospital and has received multiple Midas+ National Comparative Database Platinum Quality Awards for excellence in clinical Outcomes. Bill led the development of “Heart Alert”, San Antonio’s first organized approach to caring for patients suffering from heart attacks. Today, this program’s outcomes and processes have been adopted as the standard of care across San Antonio and 22 surrounding counties. Bill holds a B.A. from Texas A&M University and an MHA from Ashford University. He serves on the Boards of San Antonio AirLife, South Texas Regional Advisory Council and the North Chamber of Commerce. He is married to Michal and has two sons. Jennifer Wilkinson joined American Bank as its San Antonio Market President in November 2018. She is responsible for managing American Bank’s entry into the San Antonio area and oversees the business banking team’s activities in the Loan Production Office there. Her 20-year banking career has focused on building long-term corporate and commercial relationships with clients in the Austin and San Antonio markets. 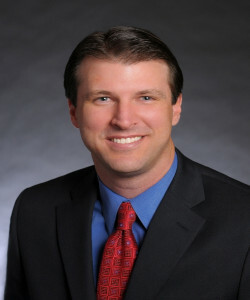 Wilkinson holds a bachelor’s degree in Finance from TCU in Fort Worth, Texas. She currently volunteers at her daughter’s school, is participating in the Brighton Center Capital Campaign and is a Board Member of the South Texas Chapter of the Leukemia and Lymphoma Society (LLS), where she was the 2017 LLS Woman of the Year. She was formerly a Junior Achievement board member for 12 years.